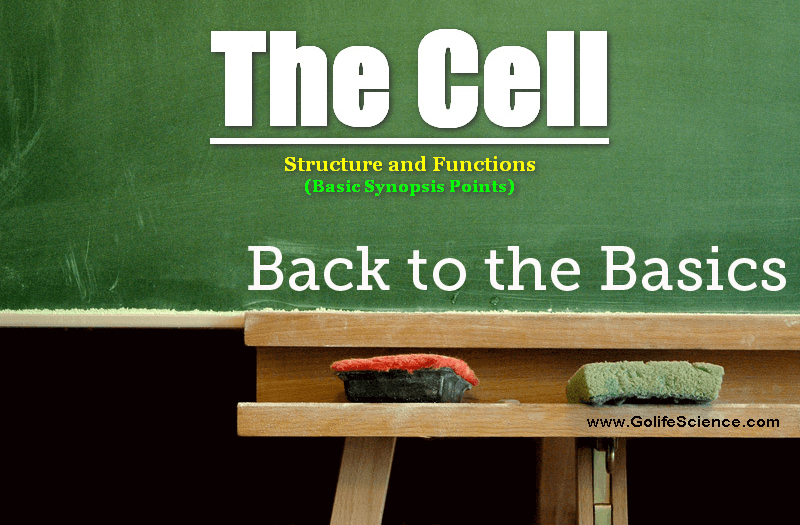 The Cell – Structure, and Functions (Synopsis Points) – This is the basic points of the Cell. This point helps to review your basics. Just read carefully. This points made from previous topics in this blog. 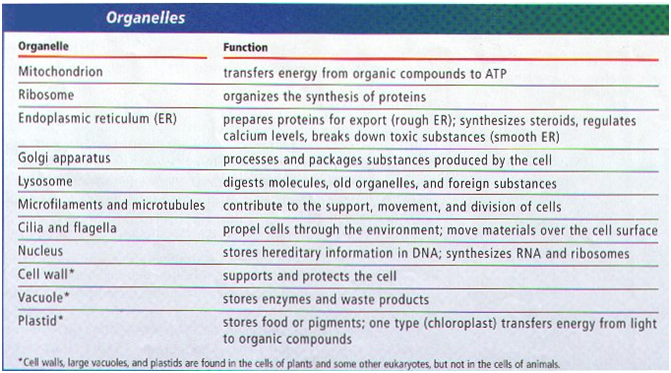 The cell is the basic unit of structure & function. The cell is the smallest unit that can still carry on all life processes. 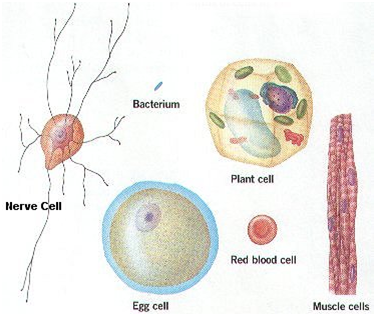 Both unicellular (one-celled) and multicellular (many-celled) organisms are composed of cells. Before the 17th century, no one knew cells existed. Most cells are too small to be seen with the unaided eye. In the early 17th century microscopes were invented & cells were seen for the 1st time. Anton Von Leeuwenhoek, a Dutchman, made the 1st hand-held microscope & viewed microscopic organisms in water & bacteria from his teeth. In 1665, an English scientist named Robert Hooke made an improved microscope and viewed thin slices of cork viewing plant cell walls. 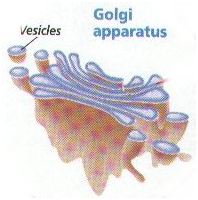 Hooke named what he saw “cells”. In the 1830s, Matthias Schleiden (botanist studying plants) & Theodore Schwann (zoologist studying animals) stated that all living things were made of cells. In 1855, Rudolf Virchow stated that cells only arise from pre-existing cells. Virchow’s idea contradicted the idea of spontaneous generation (the idea that nonliving things could give rise to organisms). The combined work of Schleiden, Schwann, & Virchow is known as the Cell Theory. The hydrophilic head of a phospholipid is polar & composed of a glycerol & phosphate group and points to the aqueous cytoplasm and external environment. When phospholipids are placed in water, they line up on the water’s surface with their heads sticking into the water & their tails pointing upward from the surface. 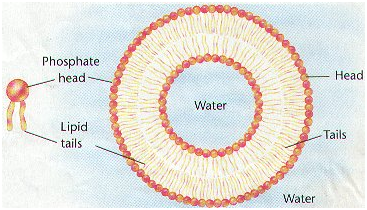 The inside of the cell or cytoplasm is an aqueous or watery environment & so is the outside of the cell. 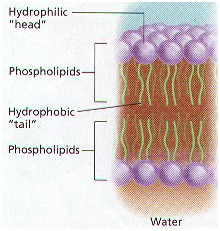 Phospholipid “heads” point toward the water. Phospholipid “tails” are sandwiched inside the lipid bilayer. The cell membrane is constantly breaking down & being reformed inside living cells. A variety of protein molecules are embedded in the cell’s lipid bilayer. 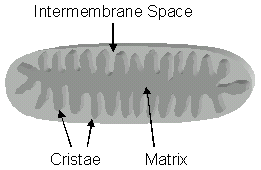 Integral proteins or transmembrane proteins are embedded & extend across the entire cell membrane. These are exposed to both the inside of the cell & the exterior environment. Other integral proteins extend only to the inside or only to the exterior surface. Cell membrane proteins help move materials into & out of the cell. Some integral proteins called channel proteins have holes or pores through them so certain substances can cross the cell membrane. The phospholipids & proteins in a cell membrane can drift or move side to side making the membrane appear “fluid”. The proteins embedded in the cell membrane form patterns or mosaics. Because the membrane is fluid with a pattern or mosaic of proteins, the modern view of the cell membrane is called the fluid mosaic model. 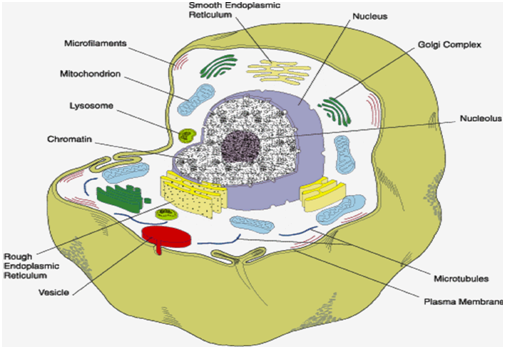 Cytoplasm includes everything between the nucleus and cell membrane. Cytoplasm is composed of organelles & cytosol (jellylike material consisting of main water along with proteins. 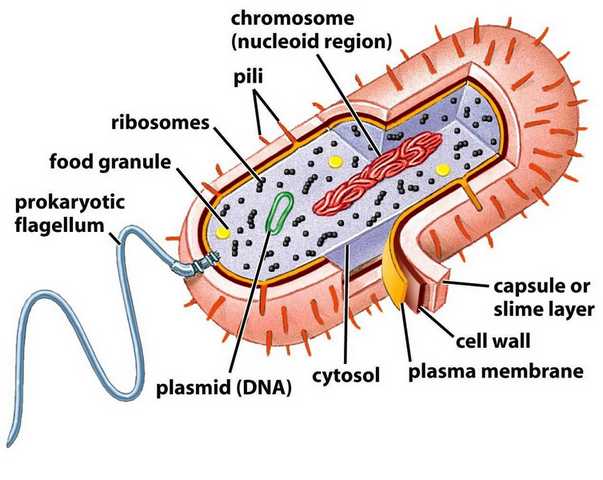 Eukaryotes have membrane-bound organelles; prokaryotes do not. 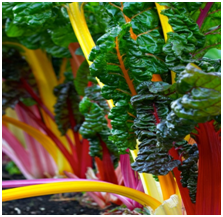 Smooth ER also helps process carbohydrates & lipids (fats). K. Flagella are long whip-like tails of microtubules bundles used for movement (usually 1-3 in number) – Help sperm cells swimming to reach ovule. Colonial organisms are made of cells living closely together in a connected group but without tissues & organs (e.g. Volvox).